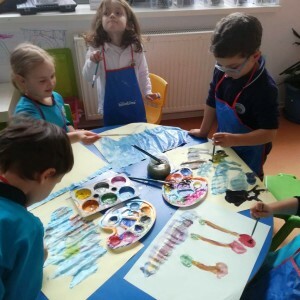 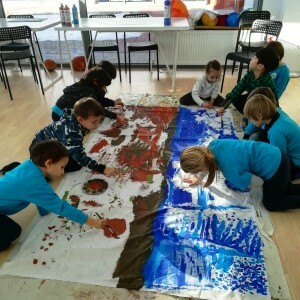 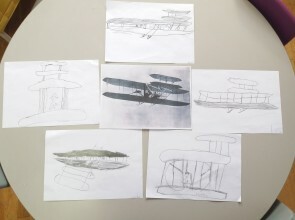 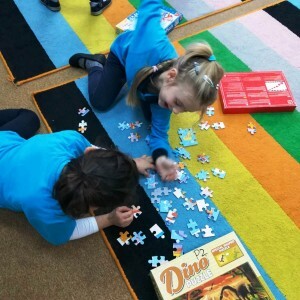 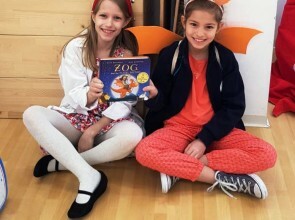 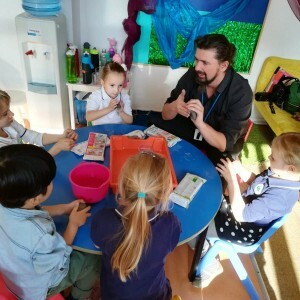 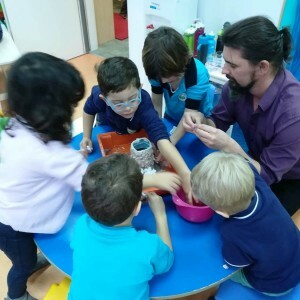 The idea of cross-curricular education, or interdisciplinary education, is not a new one and at King`s Oak we take every opportunity to immerse children in authentic learning as we acknowledge the multiple benefits of such experiences. 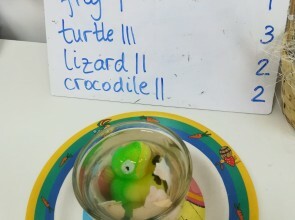 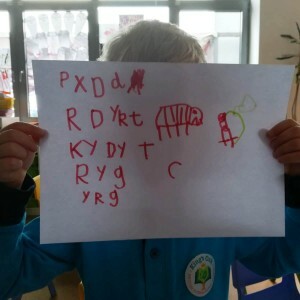 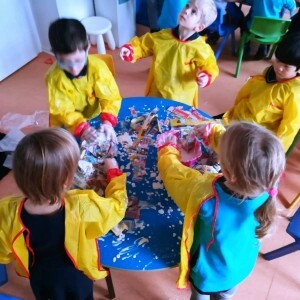 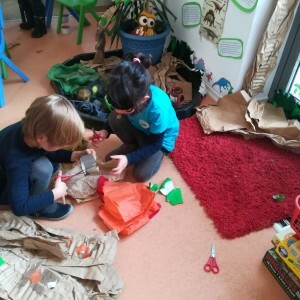 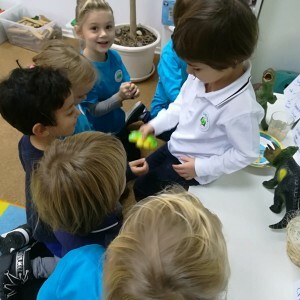 This half term, the children in Reception Class have enjoyed a wonderful adventure while their entire classroom was transformed into a fantastic “Dino World”!They even found a letter from a mysterious creature, asking them to take care of a very fragile egg. 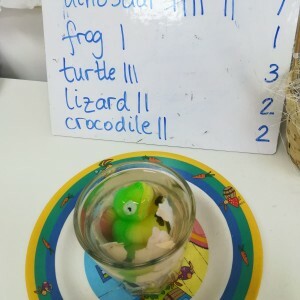 After taking care of the mysterious egg with great responsibility and attention, it turned out to be a dinosaur egg! 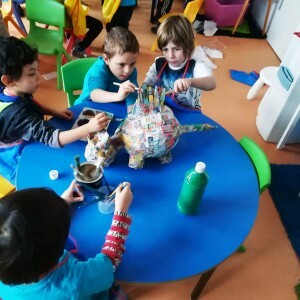 For creating “Dino World”, the children have used their creativity and have incorporated mixed media when designing and making all the fantastic elements which are decorating their class now. 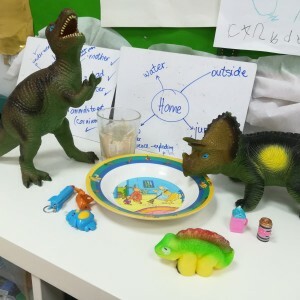 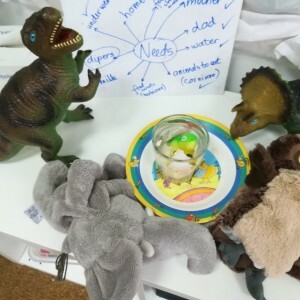 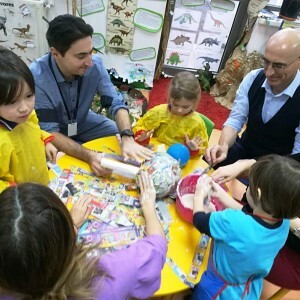 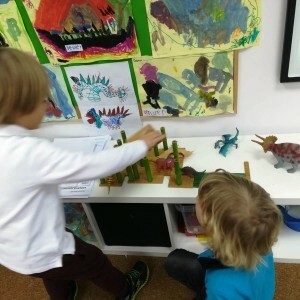 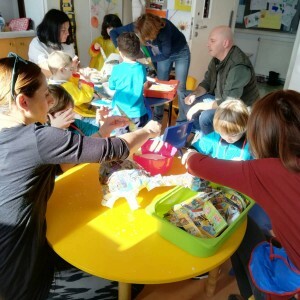 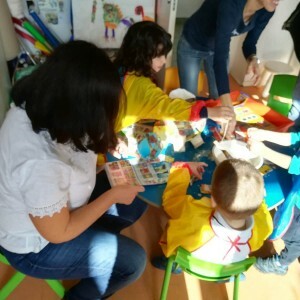 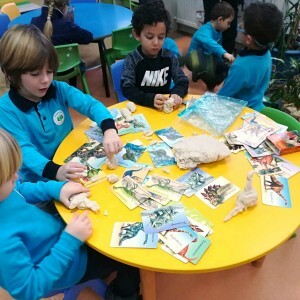 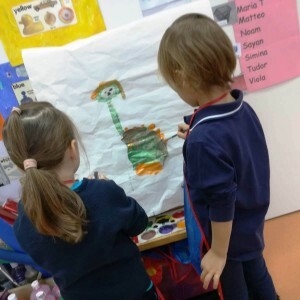 From the mysterious creature, they have also received many gifts which helped them enrich their knowledge and develop their abilities.The fantastic world had to be populated with various types of amazing creatures, so the children have created 3D models of dinosaurs! 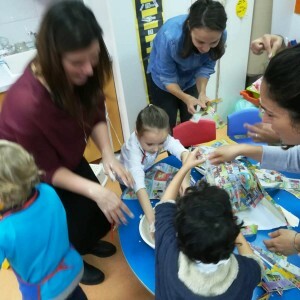 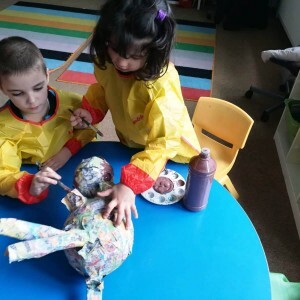 Their papier-mache technique impressed us all, especially the parents who were invited to join them for a day. 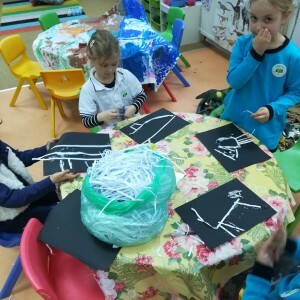 As the adventurous journey continued, the children have decided to use all of their discoveries and experiences and write a non fiction class book. 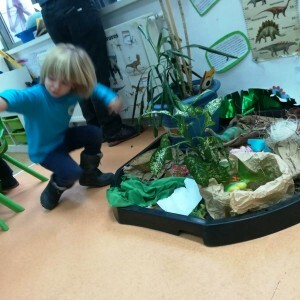 Reception children are now expert paleontologists!